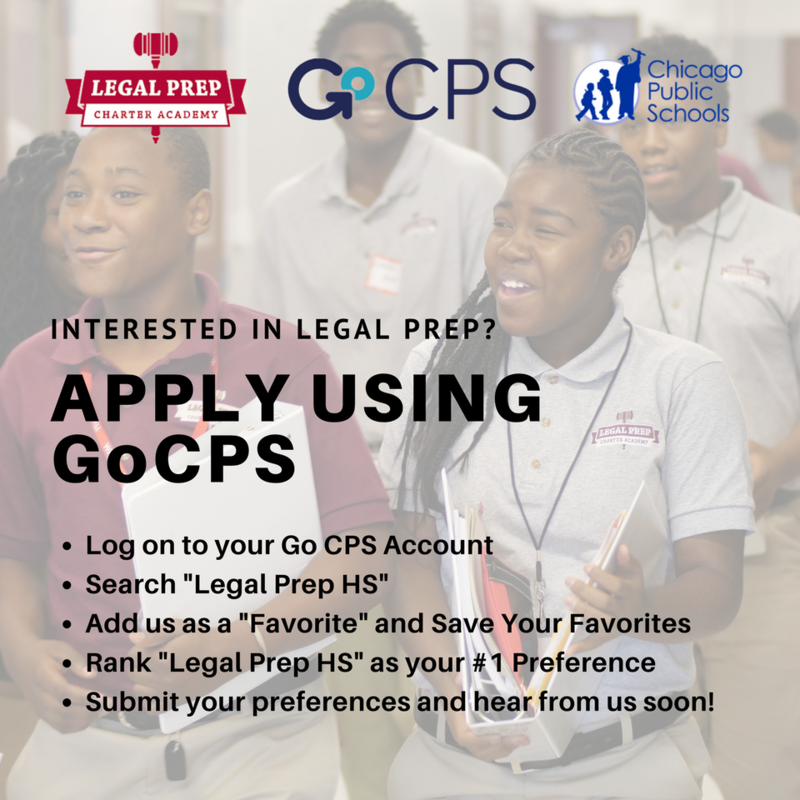 You'll need to use GoCPS to apply to Legal Prep Charter Academy for the 2019-20 school year and beyond. To access GoCPS, click HERE. We also know that you may have questions about GoCPS or about enrolling at Legal Prep in general, which is why we're here to help. You can send us an email at mstringer@legalprep.org or call 773-922-7803 and we'll respond to you as soon as possible. ​8 a.m. to 5 p.m. Monday through Friday.